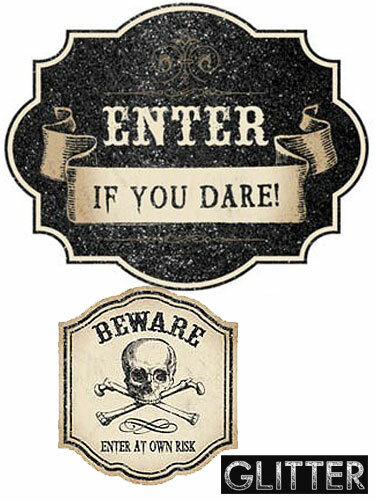 Boneyard Glitter Cut-Outs will add eerie elegance to your Halloween party décor. 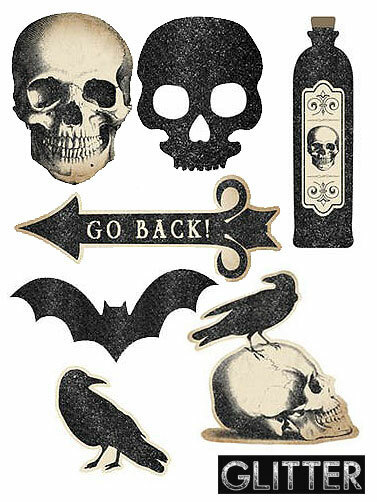 Thick paper cut-outs have been treated with glitter and feature, skulls, crows, bats and more. Images are printed on both sides. Hang with tape or sticky tack, sold separately. 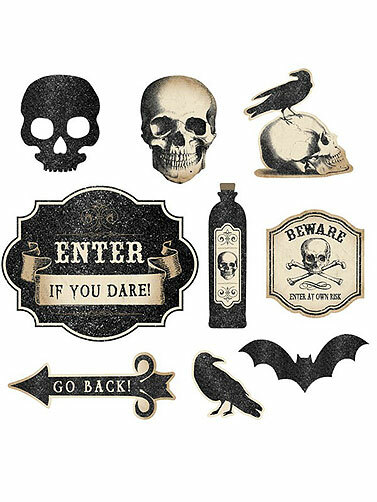 Boneyard Glitter Cut-Outs includes 9 assorted cut-out decorations that measure up to 12"H. 9ct.